This item will be back in stock soon! 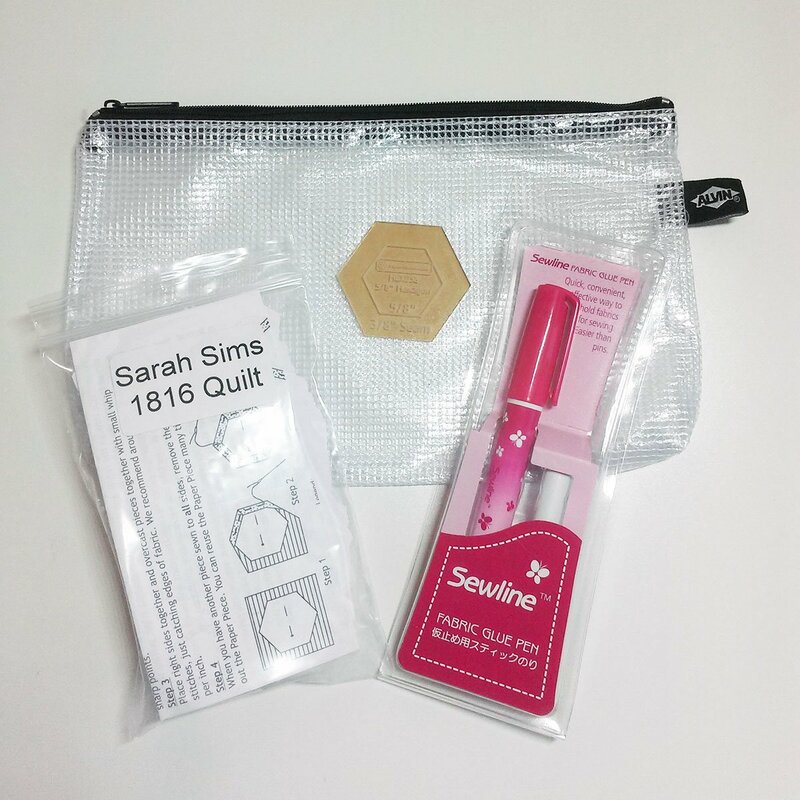 Perfect set of supplies needed to get your started making your quilt. 1 - see-through vinyl with mesh webbing functional bag 5" x 9" x 3" zippered top, ¾" gusseted bottom.